The card games as Casino Stud Poker, blackjack, poker are other games just like the game of roulette, where cheats attempt to exploit. The main reason behind this is the huge amount of pay offs given in this kind of game. The main advantage of this kind of games is that the players are permitted to hold their cards; this makes it possible to make moves such as card marking. However, the amount of edge that a player's average card can create is a topic that might be taken up for discussions. According to my view, there is a greater threat. This threat comes from the player who swaps their hands completely. This is more dangerous as swapping the entire hand is easy as compared to swapping lone cards of a hand. For instance, let us assume that two players one is player A and the other is player B sat at the initial two seats that are on a table of Casino Stud Poker. Player A has twenty dollars on his 'ante' box, whereas on the other hand, his partner in crime on the second seat has hundred dollars in the box. Player B is dealt nil and player A is dealt two pair. Now, they can use two methods to do this, but the most common way, which I have observed is the most successful. In this way, both the players B and A place their cards place the cards onto the table that is in front, but slightly covered by their arms that are on top of the table. Now enters the Third player, he is an accomplice as well. He sits on the final beating seat on the right side of the dealer. He throws a note towards the dealer and then asks for change from him. 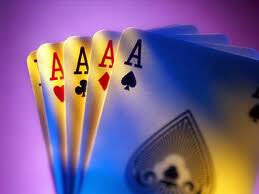 This action diverts the sight of the dealer to the right hand side and afar the left hand. At this exact moment, player B lifts up player A's card as player A have two pair. After this, he places them onto his own box. This box consists of a far bigger wager and so the two pair is paid 2/1. This would be 400 dollars, in case the dealer gets a qualifying hand. This proves that team play can prove be extremely destructive in games such as Casino Stud Poker. This move takes teamwork and is one of the most favorite moves that are used by cheating teams. It is also hard to catch this kind of moves.